A tale of innocence lost. A vengeance gone tragically awry. A deformed court jester wants nothing more than to protect his virtuous daughter from a licentious duke who seduces and then abandons her. 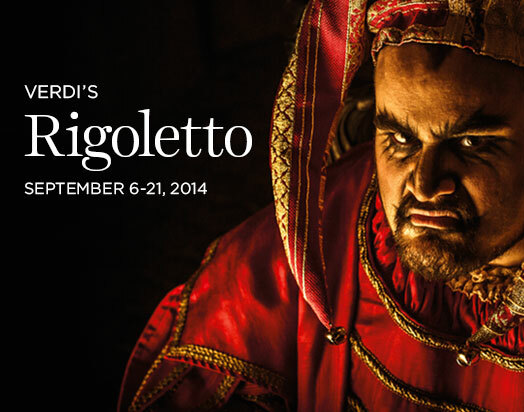 Giuseppe Verdi’s famous masterwork, Rigoletto, leads us on a chilling whirlwind of revenge that has entranced audiences since its first performance. Sung in Italian with English supertitles.